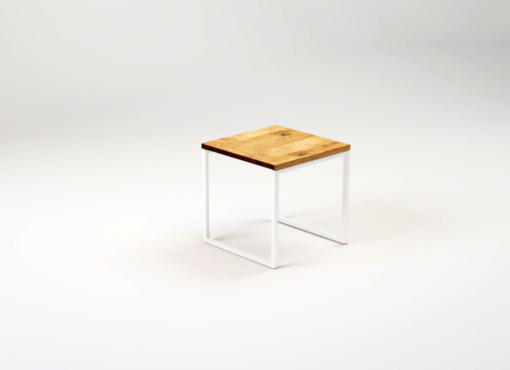 KUB WHITE coffee table is a small cube shaped side table with a wooden top and steel frame base. Minimalist design and simple form match the decor of most modern living rooms. A square coffee table can occupy the main place by the couch or stand on the side, by the chair or sofa, so it’s within easy reach. It doesn’t take up much space and is very handy. 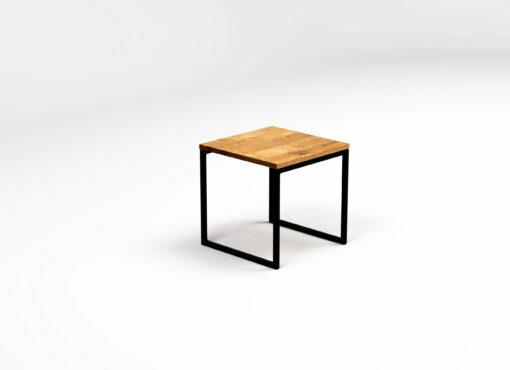 With a clean-lined design and minimalist motif, this elegant piece is a perfect addition to contemporary living spaces. Try setting it at your living room seating ensemble, then top it with a potted plant, some geometrical copper home decor and a stack of glossy art books to create a trendy botanic style interior. 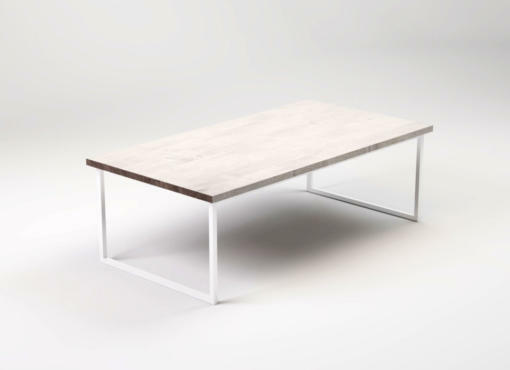 The natural materials and contemporary Scandinavian style are the main features of this piece. KUB WHITE is handcrafted using only the best materials. 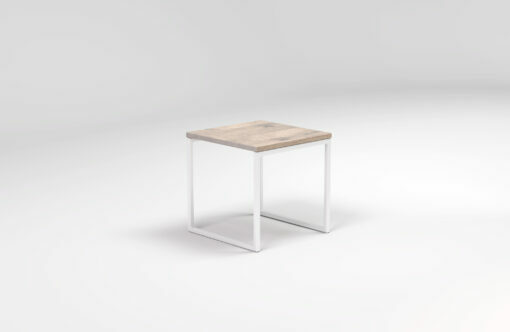 The square tabletop of the carefully selected oak wood is based on a white steel frame. Bleached wood has a wide range of shades of grey, creamy white and ecru that highlight the natural features of the material. 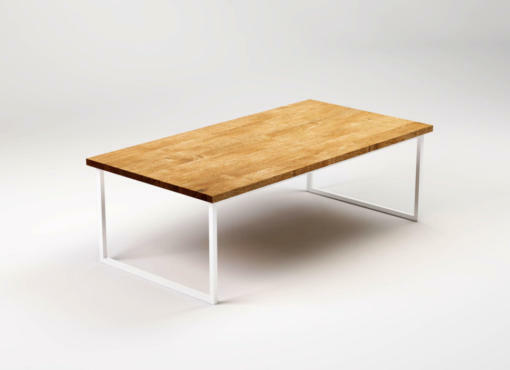 Each piece of wood is unique, thus each table has a unique top, which may vary in colour and texture. Solid metal base is made of steel profiles of the highest quality. The shiny, white metal surface matches nicely the colour of the bleached wood.